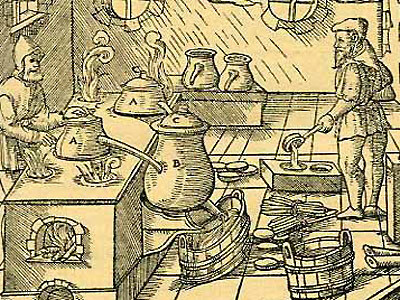 From perfume to whisky in a few thousand years. Are whisky and Perfume connected ? 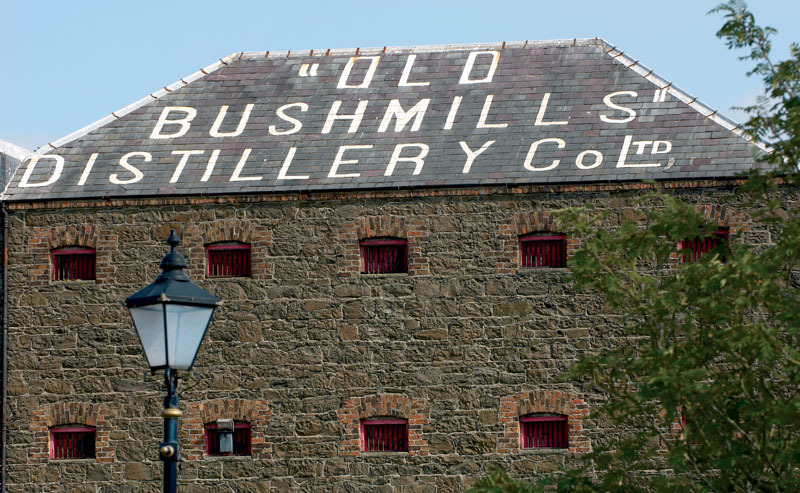 With so many new distilleries popping up in so many different countries I thought I would take a quick look at where it all might have started and where it might be heading.. 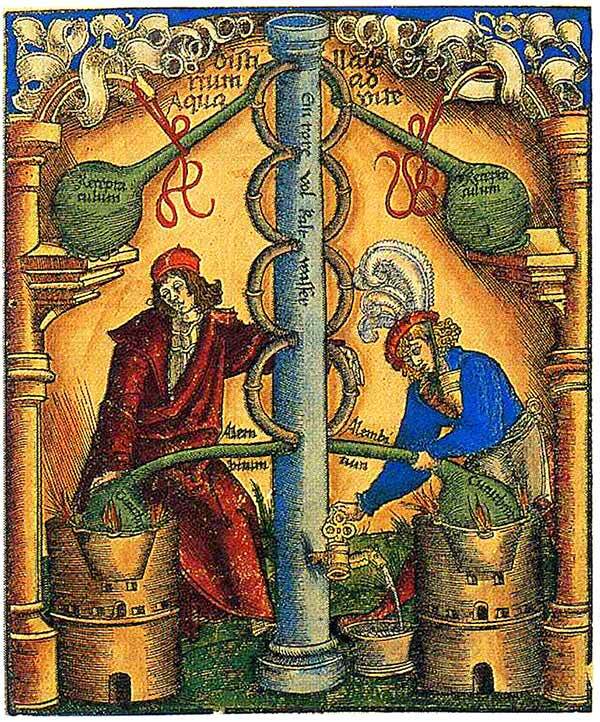 The first believed records of “distillation” goes way back to the 2nd millennium Bc where it is believed Perfumes and aromatics could have been made in a similar way to our distillation procedures. 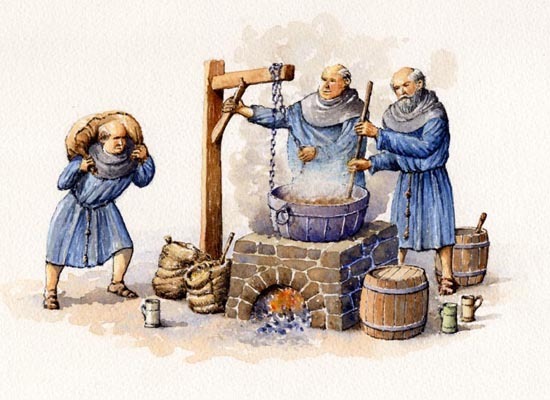 Records tell us that through the centuries distillation in some form or other was used to produce many different things and the processes used today has been developed since the first known use with alcohol in the 13th century to make wine.. 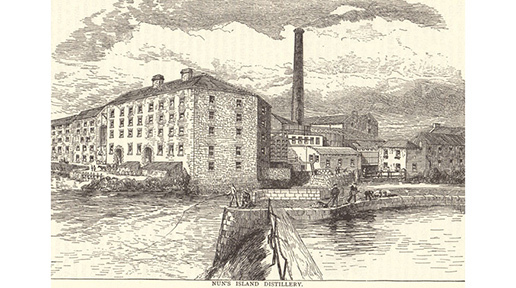 The use of distilling was then used to produce medieval tonics for medicinal purposes before sometime in the 15th Century the distillation process was brought into the monastery’s of Ireland and Scotland and early forms of distilling for other purposes were recorded, the monks are believed to have passed on the early knowledge of distilling and history tells us that ” aqua vitae” was indeed enjoyed by many and even early royalty with James 1V of Scotland having a passion for ” Scotch Whisky” . It is then believed somewhere between 1536 and 1541 Henry V111 gave orders to dissolve the monasteries hence forcing the monks and the art of distilling out into the public domain, distilling was now done in the homes and farms and by those who had the knowledge of distilling passed on by the monks who also now had to find a way of surviving on their own, although the spirit was not aged at this point it was drunk by most at an undiluted strength. 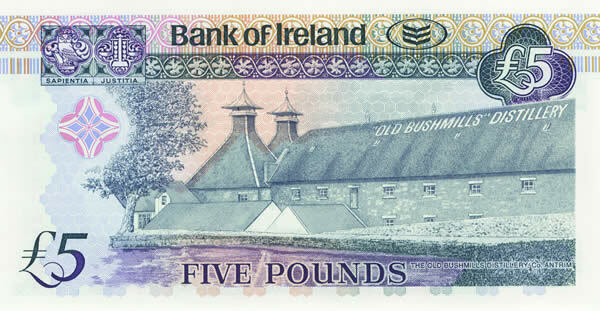 Moving on into the 1600’s the first licensed distillery was the old Bushmills distillery in Northern Ireland, the distillery was granted the first license on the 20th April, 1608 by King James the 1st, with many of the distilleries in Scotland becoming legit in the 1800’s. 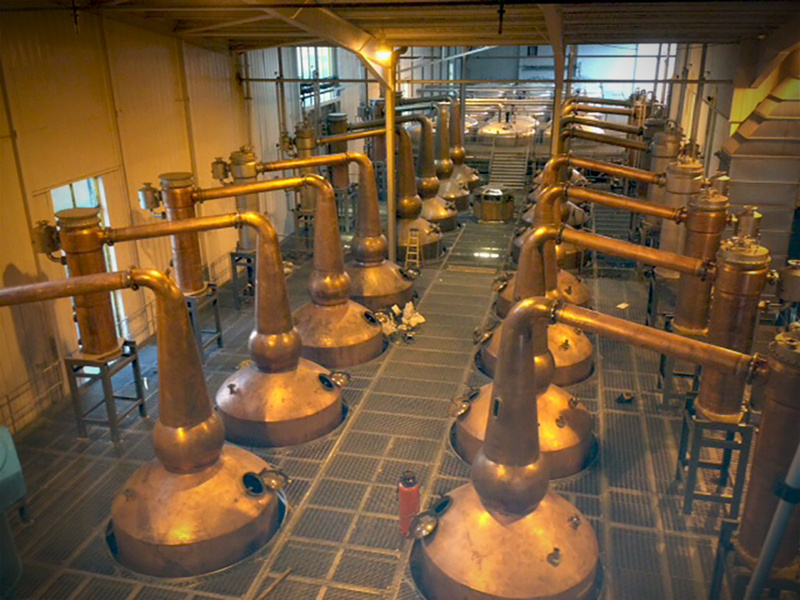 The production of whisky has taken many turns since 1608 and with taxes forced upon the industry in 1707 with the emergence of the ” Acts of Union” and later the ” English Malt Tax” in 1725 which forced so many of Scotlands distillation process to either cease or go underground it’s a far cry to the massive market it is today..
Over recent years whisky sales have dropped but as anything in life this comes in waves and the industry is currently on the rise once again and with a reported 533 million bottles exported in 2015 and annual sales figures just short of 85 million bottles sold in the U.K in 2016 alone, there is no wonder we are seeing a number of new distilleries being built.. The future is certainly looking rosey for the whisky industry but as with everything that grows there is always the chance of another crash and the whisky industry has seen its share of these.. Distilleries will be built and knocked down, they will continue to grow in size and be bigger and more profitable, distilleries will be built that can produce millions of litres just like the Aisla Bay distillery owned by William Grant and Sons which can produce up to 12 million litres of alcohol per year, down to Daftmill who we hope to be selling whisky very soon and has a capacity of 65,000 litres, right down to a brand new re building of Lindores Abbey Distillery which will bring back to life a small piece of history and another small ” craft ” style distillery..
Whatever your favourite tipple may be you now have more choice than ever, whisky is produced in many different countries and giving us many different styles.. Sonext time you pour your favourite dram just spare a moment to think about the many many years it’s taken to get to where we are today.. Slainte. Previous Post A BOUTIQUE-Y FULL EVENING..
A very interesting piece of reading, thank you. I’ve learned quite a few important things through your post. I’d also like to convey that there can be several interpretations from this subject but I see you have done plenty of research on the topic first. Bravo ! Hi, A very informative piece that has given me plenty to think about,thanks. Quite interesting, I had not realised there was a connection, I had looked into this before where I understood it to have started with the monks but I not realised it started so much earlier. Thank you for the insights. A new way of looking at the origins of whisky, not 100% I agree with your thoughts but as I don’t know then I will have to see what information I can find. I just happen to be opening a sample of Bushmills as I sat down to read… must be fate.